Autumn on the farm is a time of hard work, but also of great fun. 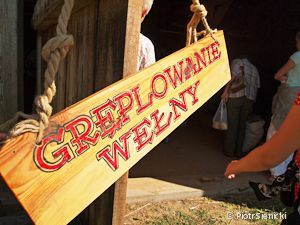 If you want to see on your own real Polish countryside, join our trip! During our tour you will see what the real potato lifting is (wykopki). Besides, you will dig potatoes out by yourself and bake them in the fire. You will also check how to perf the sheep wool, spin the rope and wool on a spinning wheel. 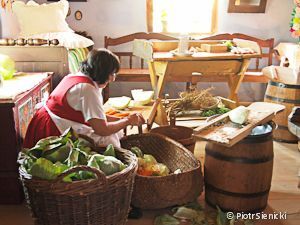 In the nineteenth-century farm real peasants will show you how to make sauerkraut and butter. On the country fair you will have the opportunity to buy the truest fruits and vegetables from the peasant crops. The event will be accompanied by concerts and performances of folk groups, as well as folk ritual shows. On the way back we will have a stop for a short stroll through Płońsk – a city originating from the reign of the Piast dynasty! Starting time: 2 September, 9.00 a.m.
Transportation, tour leader and entrance fees are included in the price. 11.00 – Arrival to Sierpc, visit in the Etnographic Park. Those who want to, will take part in field works, roast potatoes and sausages on fire. Free time for lunch. We invite especially foreigners living in Warsaw. 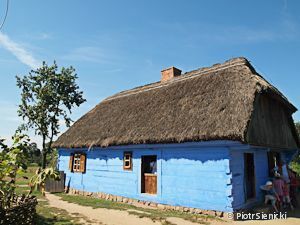 You will see Polish real, traditional village! Number of places is limited.